This book examines the rise and proliferation of 'Supermaxes', large prisons dedicated to holding prisoners in prolonged and strict solitary confinement, in the United States since the late 1980s. Drawing on unique access to two Supermax prisons and on in-depth interviews with prison officials, prison architects, current and former prisoners, mental health professionals, penal, legal, and human rights experts, it provides a holistic view of the theory, practice and consequences of these prisons. Given the historic uses of solitary confinement, the book also traces continuities and discontinuities in its use on both sides of the Atlantic over the last two centuries. It argues that rather than being an entirely 'new' form of imprisonment, Supermax prisons draw on principles of architecture, surveillance and control which were set out in the early 19th century but which are now enhanced by the most advanced technologies available to current day prison planners and administrators. 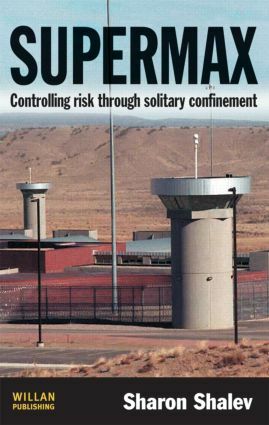 It asks why a form of confinement which had been discredited in the past is now proposed as the best solution for dealing with 'difficult', 'dangerous' or 'disruptive' prisoners, and assesses the true costs of Supermax confinement.